Felonies: Initial appearances on all of the above. Appearances for defendants in the Detention Center may be held at times other than 9AM on days that are not regular appearance days. 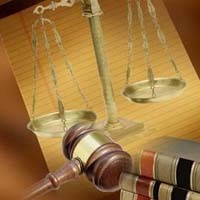 Civil Complaints UP TO $12,000 and Small Claims up to $7000 are filed in Justice Court. Law and Motion will start at 8:30 AM on certain Mondays. "LiveHelp" has launched. LiveHelp allows MontanaLawHelp.org visitors to ask for help finding online legal information and resources. Just click on the "LiveHelp" button on the right side of any page on MontanaLawHelp.org to begin. You will be connected with a MontanaLawHelp.org Web site specialist. Type your question into a box and click the Send button. Your question is sent immediately to the Web site specialist, and the Web site specialist quickly sends you the location of the information that answers your question. Criminal and civil cases may be heard by a judge or a jury. If a trial is by judge, there is no jury and the judge makes the decision based on the testimony and evidence presented. Criminal: In a criminal case a person called the defendant is charged with a violation of the law. The attorney representing the state or local government is called the prosecutor or County Attorney. In criminal cases the judge will inform the jury about the law, and the jury must decide if the defendant has broken that law. Criminal verdicts in Montana must be unanimous. In criminal cases, the prosecution must prove beyond a reasonable doubt that the defendant committed the crime. Prior to the criminal trial, the defendant will have appeared before the judge to plead guilty or not guilty to the criminal charges. This hearing before the judge is called an arraignment. Civil: Civil cases involve disputes (usually about money) which the parties haven't been able to solve between themselves, and have turned to the court system to resolve. The person bringing the complaint in a civil suit is called the plaintiff. The one defending him or herself against the complaint is the defendant. Defendant must reside in Montana. In a civil case, the jury is asked to determine which side is favored by the preponderance of evidence. Civil jury decisions can be made by a two-thirds majority of jurors. A unanimous verdict is not required, as it is in a criminal trial. Justice Court has a monetary limitation of $12,000. If the amount in dispute is more than $12,000 the case must be filed in District Court. Records requests are $25 per name.